Bright Lights Trading in Muscat, Oman is the official distributor and dealer for many professional sound products in the Middle East. With our superb product range we offer an unbeatable after-sales service. 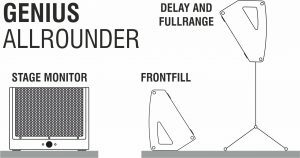 The KD12 from Nova Acoustics is a self-powered coaxial uncompromising full-range speaker that delivers sonic clarity and top performance as a stage monitor, full-range speaker or as a front-fill for larger stages or even as a delay speaker. This innovative speaker not only looks great but is the ideal all round solution for the top-market user. No-one creates a party atmosphere like Bright Lights Trading in Muscat, Oman. Whatever your event, you can rest assured that our fully qualified team will provide your vision of a Special Occasion using the best professional equipment at a great price. We will deliver, set up and engineer the whole event so you may sit back and enjoy the experience. 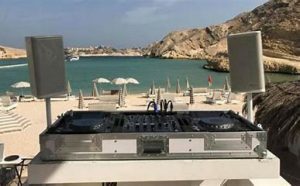 Where can I hire a sound system in Muscat, Oman? Bright Lights Trading in Muscat supplies professional sound equipment for hire in Muscat, Oman. 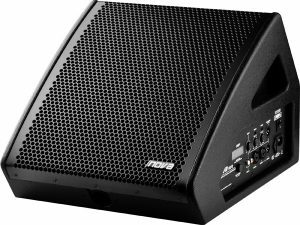 We supply Audio systems for any event, large or small; with fully qualified engineers to ensure your event runs smoothly. 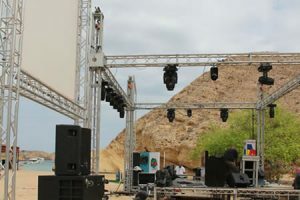 Where can I hire lighting in Muscat, Oman? Bright Lights Trading in Muscat supplies professional lighting for hire in Muscat, Oman. Bright Lights has lighting systems to suit any occasion from small parties, to formal weddings and to lighting the outside of buildings. Where can I hire special effects in Muscat, Oman? 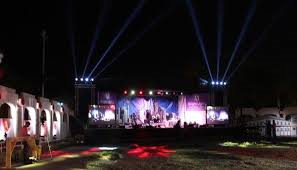 Bright Lights Trading in Muscat, Oman has all the special effects you could imagine to ensure your event runs smoothly with all the sound, lighting and special effects you could wish for. 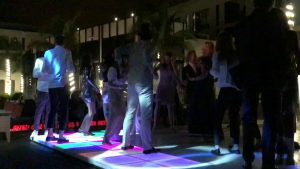 Even specialised dance floors with lights that dance to the music or pyrotechnics and confetti cannons can be arranged to make your event even more spectacular.